Heavyweight prospect Junior Fa has weighed in on the Anthony Joshua 20-0 (20) versus Joseph Parker 24-0 (18) heavyweight unification bout this Saturday night at Cardiff’s Principality Stadium in Wales. 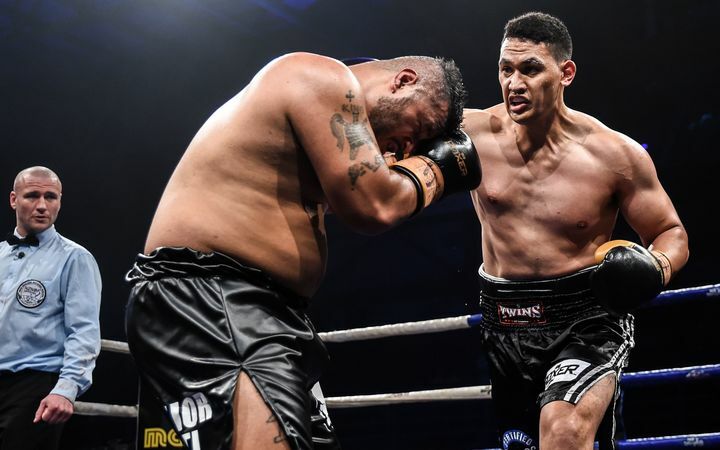 The 28-year-old Fa, 14-0 (8), who hails from Papakura, New Zealand came up against Parker four times in the amateurs between 2009 and 2012, splitting their fights 2-2. He was also a sparring partner for Joshua in 2011 when the powerful Englishman was still competing on the amateur circuit. “Parker definitely has a lot of speed, a lot of snap behind his punches. And he’s quite a hard boxer to deal with because he’s a fast combination puncher. Which is quite hard to deal with, but I managed to use my footwork against him which I found a lot of success in with him,” Fa told Radio Sport NZ this week. While Parker’s camp say they have been working on his mobility in the ring, Fa says he hasn’t seen any improvement in Parker’s footwork since the amateur days. “I still feel most of his style is still very much the same from the amateurs, apart from his conditioning and the way he sets up his punches. That part is different, but I still feel his footwork is very much the same. I don’t really see him floating around the ring. They say they have been working on him being a lot more light-footed, but I can’t see him doing that on fight night,” said Fa. Fa believes that the longer the fight goes on the more pressure there will be on Joshua to perform. “I feel like Parker has everything to prove and nothing to lose, which is a good place to be. I feel like Joshua has everything to lose in front of his home crowd,” he said. When Fa sparred Joshua seven years ago both boxers were still competing in the singlets, but the big Kiwi said there were things even back then that stood out about the heavyweight who would go on to win Olympic gold the following year. “He’s not too fast but he can hide his punches really well, which basically means he can get from A to B without the tell-tale signs,” said Fa. “He is probably the hardest puncher I’ve faced – fighting or sparring. I think that might play a big part in the fight, you know, to see how Parker can withstand Joshua’s power. For Parker to be successful, according to Fa, he has to dictate distance in the fight. Fa noted one other character trait of Joshua’s when they sparred. “Although Joshua is a late starter in the sport, he is also a very fast learner,” he said.